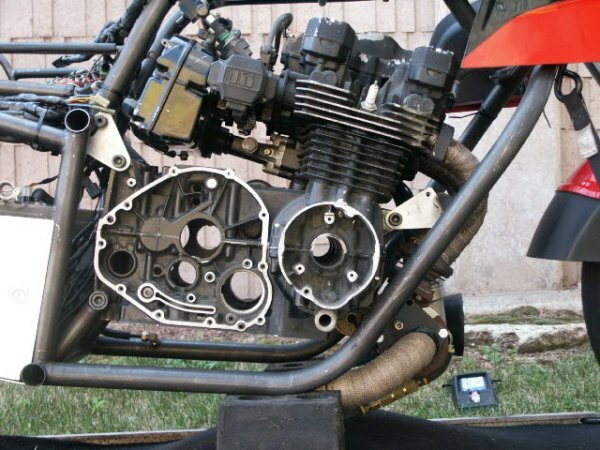 This is my current dragbike project, along with my 84 street bike. 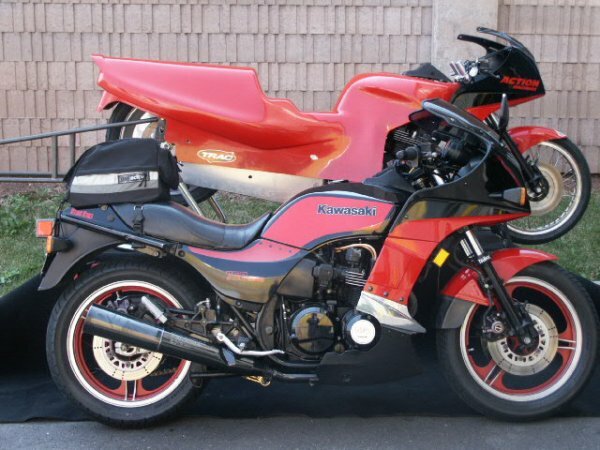 The street bike is stock, has 24,000 miles on it and will get refreshed starting in January. 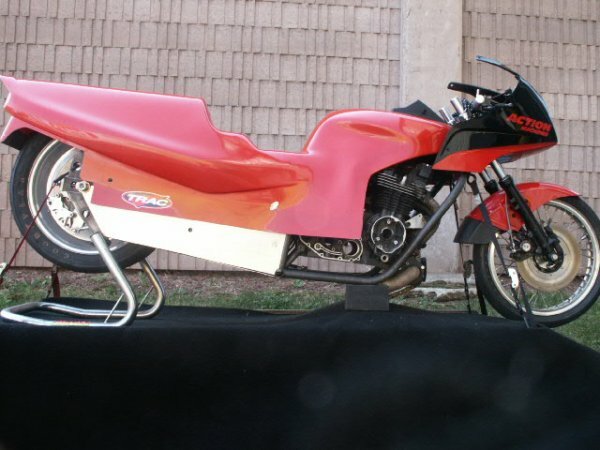 The Dragbike has an ARC chromemoly chassis, built for the GPZ powerplant, and small tire setup. The chassis will be air release clutch, finger type throttle control(I'm afraid I'll fall off) various electronics, boost control, clutch release control, clutch lockup, etc., the powerplant is currently being built to 880 cc, far out fuel sys big injectors, very large Garrett turbo, and in the 250 hp range No NOS is planned at this time but not ruled out. the new package should (hopefully) run low 8 sec area and I would like to have the 1st 750 based GPZ to run in the 7 sec range ( a 7.9999) would be fine!